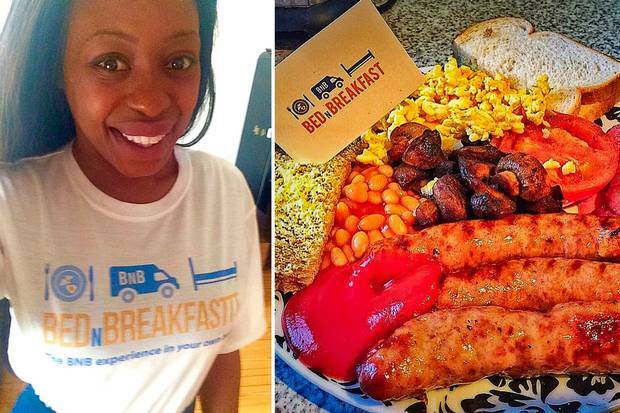 In February entrepreneur Hannah McDuffus (33) quit a career in teaching and later fashion to launch the successful breakfast delivery service Bed N Breakfast , which operates across south-east London. “It’s so hard to make money in fashion, so I just decided to throw caution to the wind and set this up. Now I’ve got hundreds of followers, it’s just gone crazy. I’ve become known as the crazy breakfast lady who drives around in a Mini listening to Beyonce. The idea for Bed N Breakfast was inspired by her time living in Taiwan back in 2001. “Everything there was delivered, from breakfast to bubble tea to dinner. I didn’t even have a kitchen, it was cheaper to order out than to cook. Call Bed N Breakfast on: 0203 612 0322 or 07715481054 and make your order. The delivery service is available from 7am -3pm Wed-Sun. Congratulations Hannah and continued success.